Our next Iran policy emerges. The announcement that Iran has been constructing a covert facility to enrich nuclear fuel for the last few years without notifying the International Atomic Energy Agency (IAEA) raises the stakes for the upcoming October 1 meeting of six leading countries with Iran. The underground facility is located on an Iranian Revolutionary Guard base outside the religious city of Qom. U.S. officials say Iran was forced to acknowledge the site in vague terms to the IAEA earlier this week only after it became clear that the U.S. and its allies were about to provide a joint intelligence briefing to the IAEA about the existence of the facility. 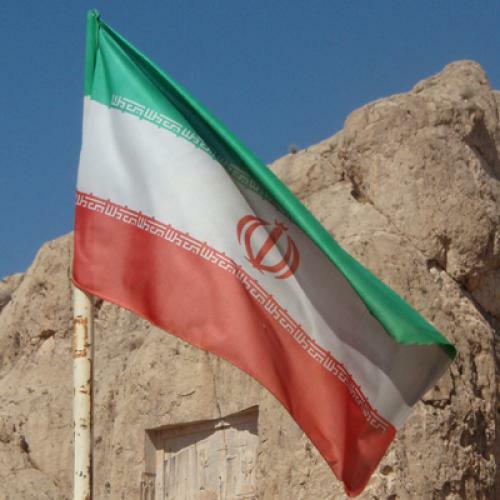 The disclosure of the site undermines Iran's assertions that its intentions are peaceful. If the intentions were benign, why was this site not disclosed to the IAEA when construction began? In an interview with Time Magazine subsequent to the disclosure, the Iranian President Mahmoud Ahmadinejad was his usual defiant self. He said if Obama raises the nuclear issue, it "simply adds to the list of the issues to which the United States owes the Iranian nation an apology over. Rest assured that this will be the case. We do everything transparently." We are at the moment where we can finally determine the goals and efficacy of Obama's engagement strategy. And, of course, the shape of our evaluation of that policy will be determined by Iran's response to the American's good faith approach. Engagement has been portrayed as a strategic departure--and if it results in a grand bargain that halts the nuclear program, it will have been just that. But if Iran counters our sincere proposals with bad faith, engagement will look altogether different. Then the policy will have been a mere way station on a route to a new policy. Barring a surprise in the upcoming talks, it now seems that engagement will become a prelude to bolstered sanctions. But thanks to the initial American offer of engagement, whatever new policy emerges will be more credible, more legitimate in the eyes of others. President Obama and Secretary of State Hillary Clinton have made it clear that the onus is on Iran to act quickly or face consequences, by which they undoubtedly mean a ratcheting up of sanctions. Obama said, "Iran must demonstrate through deeds its peaceful intentions or be held accountable to international standards and international law." Standing alongside Obama, France's leader Nicholas Sarkozy declared that if Tehran did not change course, more sanctions should be imposed in the coming months. To maximize the idea of sanctions as a credible threat if talks fail, the U.S. has favored a multilateral approach. Yet, there is a clear tradeoff. The wider the international coalition, the more the U.S. will end up making deals that will limit the scope and timing of sanctions. The U.S. has been visibly courting Russia because of Moscow's ties with Tehran. Moreover, it views Russia as key to building a coalition for sanctions within the UN Security Council. Obama Administration officials were clearly pleased that, on the eve of the G-20 meeting, Russian President Dmitri Medvedev publicly gestured that he might possibly consider sanctions necessary. But do the two countries have a meeting of the minds on how to proceed? Or was Medvedev merely providing a rather meaningless statement intended to get the U.S. off Russia's back? If the latter is the case, it is better for the U.S. to know now. There are other ways to tighten the screws on Tehran. Specifically, the U.S. can focus on building a coalition with Europe that draws along a smattering of others (Japan, South Korea, Canada, Australia, etc. ).The shape and direction of sanctions will now likely come into sharper focus very soon. David Makovsky, Ziegler Distinguished Fellow of the Washington Institute for Near East Policy, is the co-author of Myths, Illusions and Peace: Finding a New Direction for America in the Middle East.